What Kate Baked...and baby! : Giveaway! Belvoir Fruit Farms Hamper! Today is my birthday. 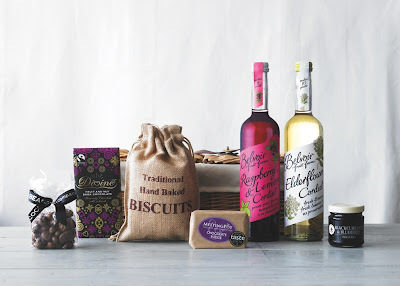 And while I treat myself with cake, cake and more, erm, cake here's a treat for you lovely What Kate Baked readers: The opportunity to win this glorious Belvoir Cordials Picnic Hamper. Belvoir Fruit Farms make naturally delicious Cordials, Pressés and Fruit Crushes. The winner of this glorious hamper can enjoy two of their signature Cordials as well as a lovely selection of sweet treats. My favourite place in the whole wide world to enjoy a picnic is in my own back garden, in my sun and comfy clothes with my friends. On the common in the Cotswolds next to the icecream van where you can watch people trying to fly kites. Physically, anywhere, as long as it is in the presence of people I love. My favourite place in the whole wide world to enjoy a picnic is on the edgs of a cliff in Cornwall. ... is in Sydney at a place called Bobbin Head - nature all around, water, trees, bbqs. Great times. Happy Birthday Kate! Have a lovely time! My favourite place in the whole wide world to enjoy a picnic is... at the top of Primrose Hill, London, with friends and loved ones, enjoying the great views over the city. Though I have moved out of London, its the one place I try to visit once a year when sunshine arrives. ...on a sunny May day in a field full of bluebells, just like the day I got engaged. Although there are plenty of nice places in England, we had a great family picnic once in a high meadow near Grindelwald in Switzerland. It was a lovely sunny day and it was so peaceful and quiet up there. Up on the cliff tops overlooking the sea. Happy Birthday! My favourtite to enjoy a picnic is setting next to open water in sunshine enjoying a good lunch after having spend 3-4 hours rowing in a boat to that picnic place. This is a great idea, Kate. Happy Birthday! A lot of my favorite places have already been mentioned, so I will go with Hampstead Heath near the bathing ponds. The perfect place to be on the one or two days hot enough to go into the water! The beach! I know, I know sand gets in the sandwiches, in fact everywhere, but I had so many on the beach with my family as a child and the memories are fantastic. My favourite picnic spot is the rustic setting in a Malay village on the east coast of Malaysia. The leisurely pace of life and the splendid sunset is a balm to the soul. Edinburgh- princes street gardens! I'm having to move from my beloved Edinburgh after four years of studying (time to join to big bad world of employment!) So my perfect place would be in the gardens below the castle for once last hurrah! In Central Park after taking a quick spin around the ice skating rink! Oh to be back in Central Park! !